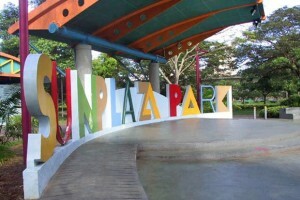 Sun Plaza Park | JustRunLah! An old school park that serves as a quiet running route in the east. Located at Tampines Avenue 7 and 9, the 0.6-hectare can be recognised with its characteristic bright colours and dynamic symbols. There is also the prominent Sun Modif displayed in the centre of the Plaza, which forms the focus of the park. 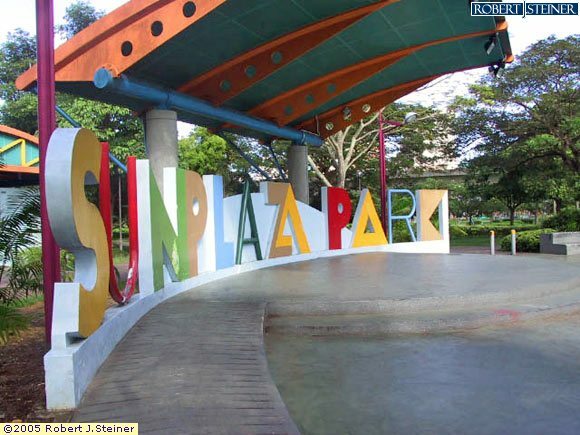 Sun Plaza Park offers a host of exciting activities to provide families with countless hours of fun. With an amphitheatre, a Sense Discovery Garden, a Beach Ball court and a Woodball course, the park is a popular meeting place for cultural and social interactions. While the facilities at the park are known to be old, the park is usually not very crowded and makes a great quiet running route. People living in the vicinity can go for a short to mid distance loop around the park and to Tampines Junior College. For a longer distance, runners can have a jog from Bedok Reservoir Park to the north coast at Pasir Ris Park, via Sun Plaza Park using the park connector network.